I have been an active music producer for over 25 years. During this time, I have produced dozens of concerts and hundreds of recordings. I have chosen a few of my favorite highlights to share with you here. 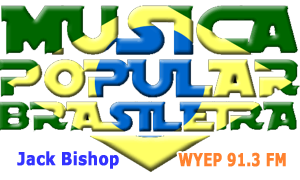 In 2015, I started a small Internet radio station on which I could play the music of the many friends I have who normally do not get airplay. My goal was to share with the world, the great music I have come to know through their friendship. Before long the idea grew and the station began taking on random submissions from musicians worldwide. To date, we promote well over 200 musicians and we are growing every day! "Fourteen years ago His Holiness the Dalai Lama sent out a simple letter to people around the world proposing that we mark the new millennium by hosting a festival of music on every continent on the planet, and suggesting that it be called The World Festival of Sacred Music. Somehow I was on his mailing list. As I read his short letter, I nodded along in agreement that music can be a powerful way to promote peace and global solidarity." Judy took up the Dalai Lama's call, mortgaged her home to raise the initial funding, and produced the first WFSM in 1999. The event was so well received she continued to direct festivals in 2002, 2005, 2008 and 2011. I am Judy's friend and certainly one of her supporters, so whenever she needs help I deliver. 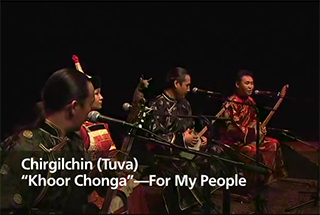 I designed the website for the 2008 festival and engineered the recording of the 2008 Gala Concert held at Royce Hall featuring: Chirgilchin, Waldemar Bastos, Emiko Susilo, Rob Levit, Lian Ensemble and Rupayan. This was the most diverse collection of instruments in one place at one time that I have ever recorded. I used a Pro Tools HD2 Accel portable recording rig to record this historic event solely for posterity. Later, when the decision was made to release the video tapes of the concert on DVD, the recordings provided a pristine audio track. The video was expertly produced and directed by John Bishop (no relation) and edited by Mark Eby. Audio recording by Jack Bishop and Chris Fuentes. In 2006 a rare opportunity presented itself. I was asked by a Los Angeles advertising agency to produce a soundtrack for a PETCO television commercial and 2 radio spots. I partnered with the illustrious Billy Sullivan for the project and we turned out a very nice track. The Commercial was PETCO: Pets on a Mission and the assignment was to compose a track that was legally reminiscent of the Mission Impossible theme. Click the image to see the spot. Below is the radio version. 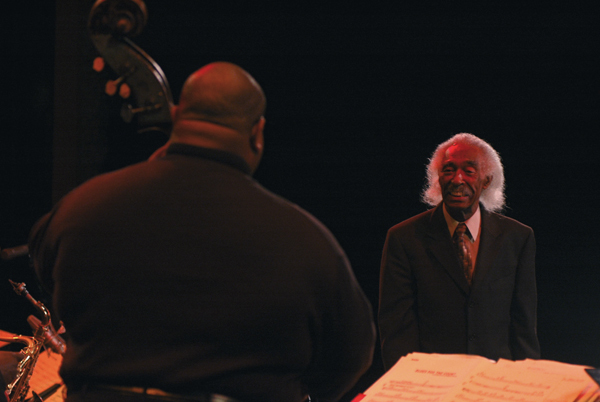 In the summer of 2005, I co-taught the course The Development of Jazz at UCLA with the Jazz legend Gerald Wilson. I have known Gerald since 1998 and have worked for him before as a teaching assistant. During this course I got the bright idea to pair up Gerald with the Roger Humphries Big Band for a concert of Gerald's compositions. I had known Roger for many years and I knew he had a big band that performed regularly. I discussed the idea with Roger and Gerald and they agreed to do it. It took an incredible amount of work, but I made all the arrangements and the concert took place on October 8, 2005 at the Byham Theatre in Downtown Pittsburgh, Pennsylvania. 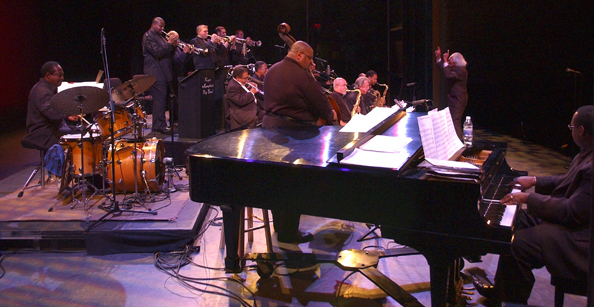 It was Gerald's first performance in Pittsburgh since the 1950s. I produced and promoted the concert and produced a recording of the evening, which is still under consideration for release on CD. This would be a limited edition double CD, numbered out of 2000 copies. 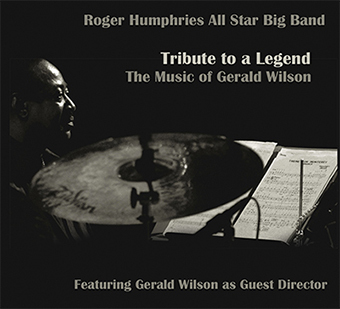 This handsomely designed CD features nearly 2 hours of music and a twenty-page booklet about Gerald and Roger. 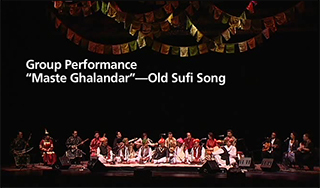 This concert was recorded live using a 32-track Otari RADAR System. When I was in Pittsburgh for the Gerald Wilson concert, a friend of mine trombonist Dr. Nelson Harrison, informed me that the great jazzman Freddie Redd was living in dire straights out in Los Angeles. He told me he was healthy and ready to get back to work. I had been a fan of Freddie's since the 80s, so, when I returned to LA, I sought him out. I met him at the Cat and Fiddle in Hollywood. I liked Freddie immediately and he seemed very lucid and eager to get started resurrecting his career. Over lunch, we mapped out the strategy for his return to fame. The following day we met with Billy Sullivan owner of Cloverland Studios to discuss using his facilities for the recording aspect of the project. 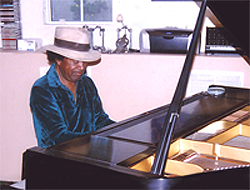 Billy was super accommodating and made arrangements to have his grand piano brought into the studio. He tuned it and made it available to Freddie for rehearsing. The other problem was Freddie was living in an RV and needed a better environment in which to create. Billy graciously made available, and I rented, the house attached to his studio for the length of the project. It seemed all was in place and we were ready to go. A couple of weeks later, when Freddie felt he was ready, we set the first recording session. Freddie and his musicians showed up two hours late, stoned, and took another hour and a half to set up. They began playing, but the drummer got stuck on a beat that came on the 4-and. They struggled with it for 30 minutes then took a break. When they returned, conditions had worsened to the point that I called off the rest of the session. The next session was more of the same. I talked with Freddie about it and he assured me they were just working out the kinks. Around this time Freddie was becoming increasingly more mysterious and would disappear for days at a time. He began to make unusual monetary demands and became more erratic in his playing and his studio presence. It was 105 degrees in the valley everyday and he continuously wore the same green velour long-sleeved shirt. To me, it seemed as though he was using heroin again, but he vehemently denied it. We were woefully off schedule by now and it was important to get some recordings "in the can." At this stage I became doubtful that Freddie still had the ability to make a comeback. He could still play the piano, but every aspect of his life was in such shambles that it interfered with his musicianship. For the next session, I hired the great bassist Roberto Miranda, and drummer Clayton Cameron (Tony Bennett Trio). Freddie agreed in advance, but the night of the session he made it obvious he was not inspired. Despite that, we managed to record two basic rhythm tracks. When we took a break for lunch, he told me he would rather play with his own musicians. I told him I would gladly agree if they would promise to get something done. I set another session for Friday that week. The following day, after breaking the door on Billy's studio with a shovel trying to get in, Freddie Redd and his RV disappeared into the sunset. Three weeks later he called me and asked me if I could help him get his car running. I went out to the valley where he was and he showed me the car. He told me he needed $500 to get it running and if he had the money the mechanic would fix it right away. No sooner did I give him the money, he jumped on a Metro bus to Hollywood leaving his car sitting there on the side of the road. The next day he had no explanation for why his car was still broken and he had no money. He quit returning my calls and I never heard from him again. The last I heard he had found another sucker on the east coast and left LA. I wish him well. With the planned addition of Al "Tootie" Heath, Red Holloway, Kenny Burrell, Phil Ranelin, Dave Carpenter (since deceased), Sherman Ferguson (also deceased), Peter Erskine, Herb Mickman and Buddy Collette this comeback CD had great promise. Que Será. As you can see not all projects work out. 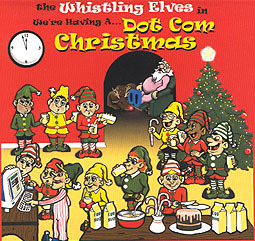 The Whistling Elves "We're Having a Dot Com Christmas!" Find out what happens when Santa's Elves discover the Internet! This fun project was produced and released by me through my publishing and record companies. It included the single and an expansive (at the time), interactive, web experience. Aside from producing the recording, I created and drew all of the artwork for the project and built the web site in PHP with the help of Scott Gruber. (We won an award for the cartoons). This song was originally written by Bob Gabig, a terrific songwriter from Pennsylvania. He played it for me and I heard something special in it. I added some new lyrics, we polished it together, then we went into the studio. There are still quite a few of these available. If you want some Contact me. They are great gifts! Listen to the Elves' Song! We're Having A Dot Com Christmas! district. Matt Ianelli was the sound man for all the concerts at Brother Olive's. 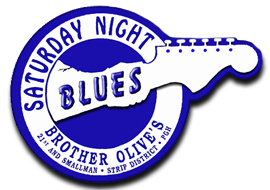 The series hosted blues greats like: Guitar Gabriel, Jimmy Rogers, Robert Jr. Lockwood, Casey Jones, Big Wheeler, and Sugar Blue.The series also featured many local blues bands, giving them an opportunity to play and associate with legendary blues musicians. Many of these legends are sadly no longer with us. (It was during this time that local legend Wil E. Tri established the Bluescasters). It was rewarding for everyone involved...and we certainly had a great time!! 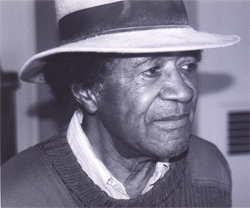 Robert Jr. Lockwood (1915-2006) was one of my blues heroes. I couldn't get enough of his 12-string sound. I knew he was living in Cleveland so I invited him down to Pittsburgh for a one night show. 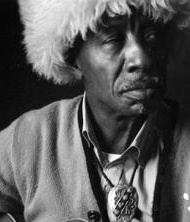 He was the essence of a blues master. He was calm and statuesque, very dignified and it was an honor to meet him. I treated him like royalty with great accomodations, abundant green room and a bottle of Hennesey. He packed the place and played until the cops made him stop. 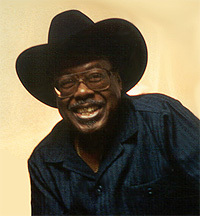 Jimmy Rogers (1924-1997) is a true blues legend, another one of my blues heroes. He is perhaps best remembered for his work with Muddy Waters and Little Walter, and his hit on Chess Records in 1950 "That's Alright." He did a fantastic concert for me on a rainy Monday night in 1992. I enjoyed listening to him talk about his experiences on the road, which were endless. We all shared a great meal before the show in the Strip Disctrict. 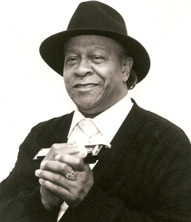 He was inducted into the blues hall of fame in 1995, and died of colon cancer in 1997. Golden Big Wheeler, (1929-1998) was a Chicago staple and one nice gentleman, kind of like a grandfather. 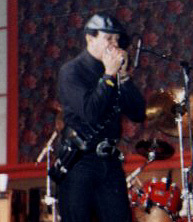 I met him in the early 1990s when Bob Gabig brought him to town to play with his band the Blues Orphans. When he released his first album in 1993, I invited him to return to headline a few promotional concerts, which he did. We worked together a few times and I spent most of a day with him in Chicago. He was an ultra-cool gentlemen who is sorely missed. I will always remember his advice, "Slow it down Jake!" Sugar Blue was one of the more manic of blues players I knew. His energy was infectious and he really delivered on stage - a real crowd pleaser. I did several shows for him and each one was a new experience. He is a masterful harpsman and his band was always top notch. They knocked the place down! He is an acquired taste. I truly enjoyed when I spent the day at his house in Chicago before hanging at Rosa's all night. 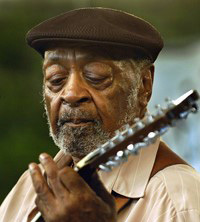 Guitar Gabriel (Robert Lewis Jones, Nyles Jones 1925-1996) was one of my favorite blues people. I cherish the hours we sat around listening to him spin wild tales. We were in stitches and tears! Because I liked him so much I gave him an open ticket to perform in Pittsburgh anytime he wanted to. We worked together for a while until he took ill. Tim Duffy played a central role in resurrecting Gabriel's career and caring for him in his later years. The Chi-Town Boogie Man! This drummer played for Albert Collins and Johnny Winter! As a leader he puts on a vibrant floor show where he dances, sings, drums and jokes around for three hours! He is hilarious while laying down a carpet of rocking blues. 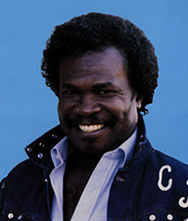 I liked Casey immediatelyand due to his promo picture I called him the James Brown of the blues, which he kept repeating throughout the night. When I visited him in Chicago, he took me around to all the bars where we walked in free. 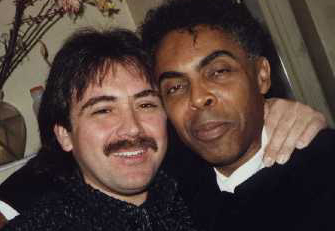 During the mid to late 1980s I spent an extraordinary amount of time in New York City basking in the jazz and Brazilian music that was abundant there. 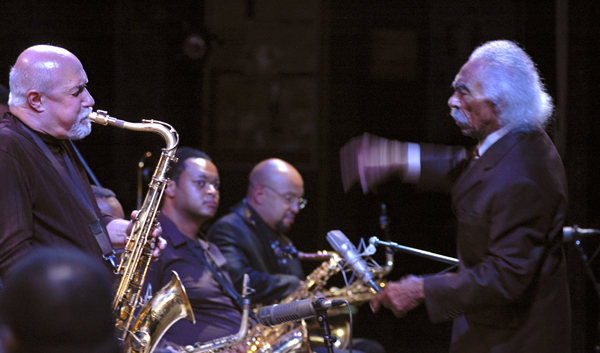 Over the years I cobbled together some great friendships with many jazz musicians, poets, producers and artists. (I always felt a warm rush come over me when I ran into them, or someone recognized me). My time there was rich with culture on a level I could not find in Pittsburgh, and it influenced me greatly. I noticed a change in my music, my artwork and, perhaps most importantly, my world view. I truly love Manhattan. One of the great perks to being in New York are the record stores. (At this time, you could not find ONE post-bossa nova (after 1965) Brazilian record in any record store anywhere in Pittsburgh)! When I started hanging in NYC CDs had not yet become the format of choice. necessary for me to work extremely hard building up both areas. To access more information, I began to study Portuguese at the University of Pittsburgh. This was the key that opened the door to an incredible wealth of knowledge and made the program a very rich, educational vehicle that helped usher in the era of world music. Between 1989 and 1991, I produced 106 programs and built the library to over 2,000 CDs and a library of over 100 books in Portuguese and English. When the show began, the consumer was hard pressed to find any of the music they had heard on the radio show for sale in the stores. 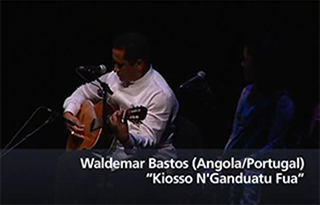 (Most of the music used on my program had been imported directly from Brazil or New York). However, within a year, every store in town had ‘world music’ and ‘international music’ sections. It was the birth of a new genre. © 2017 Jack Bishop All Rights Reserved.